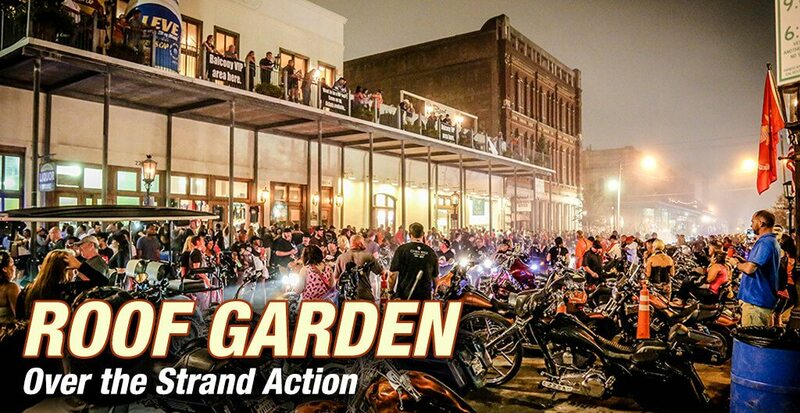 Party like a rock star at the 2017 Lone Star Rally with VIP Packages offering Exclusive Access to the Devil’s Cut Bar & Balcony overlooking Saengerfest Stage AND the Roof Garden Lounge overlooking all the action of The Strand! In Motion VIP Ride Down the Strand, Thursday Night! Exclusively for VIP Pass Holders, join 14 of the country’s top bike builders as they parade down the Strand. Ride leaves the Seawall at 8pm (following happy hour welcome at the Roof Garden) and culminates at the Devil’s Cut VIP venue. Presented by Cycle Source Magazine; click here for details. In Motion Bike Show, VIP Viewing All-Weekend at Devil’s Cut! VIP Pass holders get exclusive viewing of the In Motion Bike Show located within Devil’s Cut and the Budweiser Lounge! Check out the amazing rides created by 14 of the country’s top bike builders competing for $10,000 (awarded Sunday from the Budweiser Stage.) The show starts Thursday night after the VIP Ride Down the Strand and runs through Saturday night. Presented by Cycle Source Magazine;click here for details. 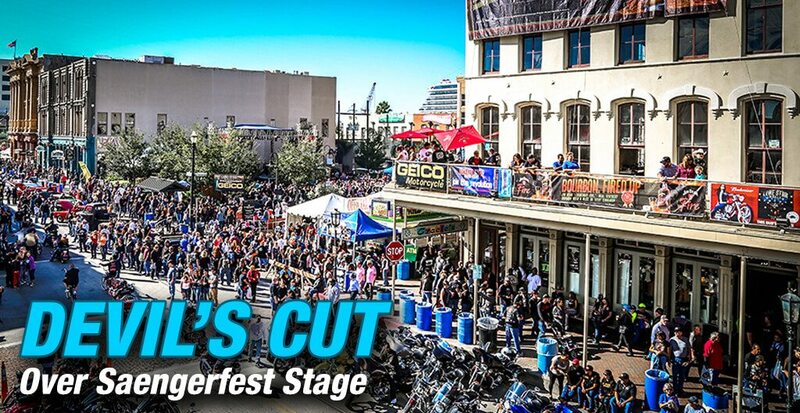 Exclusive Access to Devil’s Cut Bar & Balcony Overlooking Saengerfest Stage!